Pakistan Telecommunication Company Limited (PTCL) is the largest telecommunication company in the country. It also happens to be the largest internet service provider in Pakistan. 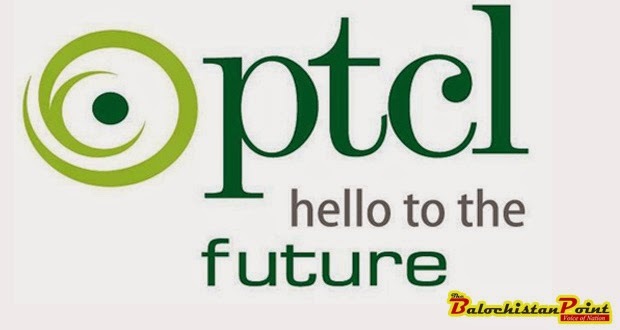 In 2006, PTCL was privatized and since then a lot of things have improved for the company. Unfortunately, delivery of proper internet services to Balochistan is not among them. PTCL is the only internet service provider in almost all districts of Balochistan, except Quetta. DSL and EVO services are available in most of the districts of Balochistan. Being the largest province of Pakistan, Balochistan is huge in size as it comprises of 43% of land mass of the country. Quetta being the capital is the center of telecommunications. The farther away a city is from Quetta, the poorer is the quality of internet in it. Internet has become a part of daily life for everyone around the world. Balochistan despite its backwardness still requires the use of internet all day round. Students need it to carry out online research and journalists use it to send timely news to their employing organizations. Similarly, government offices and cellular company franchises are also dependent on the internet for their basic functioning. Poor quality of internet or its disconnection altogether has virtually ceased life for many internet users in interior Balochistan. Not a day goes by without people from remote districts of Balochistan complaining about internet disconnection. Internet is disconnected in far-flung districts of Balochistan for several days and in some cases for weeks. Despite repeated complaints no action has been taken by the PTCL management. This is not the case with merely a few districts but at least 25 out of 32 districts of Balochistan are witnessing regular disconnection of internet. PTCL charges a huge fee for its internet services. People pay these bills regularly as they have no other choice due to monopoly of PTCL in interior Balochistan. Despite receiving all the telephone bills on time, PTCL is unmoved about any complaint registered by users. When people visit the PTCL offices in their districts, the employees plead helplessness and ask them to contact PTCL headquarters directly. PTCL complaint management system takes instant action on complaints made by users in big cities but it doesn’t entertain the complaints of users belonging from remote districts of Balochistan. The reason for regular and inconvenient disruption in internet service is the outdated infrastructure used by PTCL. The mechanisms with which PTCL connects remote districts with Quetta or Karachi have become obsolete. There is an urgent need to replace that infrastructure so that people can get regular internet service. However that will result in incurring costs and PTCL is not prepared for that. It doesn’t want to reduce its profitability by upgrading the transmission lines. Here a question arises: how can PTCL get away with all this? After all, the telecommunication sector is vigilantly regulated by Pakistan Telecommunication Authority (PTA). There can be two possible reasons for that. The first being, PTA has always been lenient on PTCL. PTCL is yet to pay $800 million that it was supposed to pay to the government of Pakistan as part of the privatization deal. This shows that PTA doesn’t use the same yardstick for PTCL as it does for other telecom companies. The second reason is that just like most of the federal departments, Balochistan, its people and their problems are the least of PTCL’s concerns. This is why despite hundreds of complains, PTCL has not been asked by PTA to sort out the problems with internet service delivery in Balochistan. Thanks to the irresponsible behavior of PTCL and apathy of PTA, Balochistan has been disconnected from the world. The tagline of PTCL is “Say Hello to the future,” but it has pushed majority of the internet users in Balochistan to telegram days. The loss caused by disconnection from the world can’t be accurately ascertained in the current age of information. Adding more to the woes of students and job applicants is the adoption of online system for admissions and job applications. Applicants are asked to submit their applications for jobs online and students of University of Balochistan were asked to check their roll numbers from the university website. Disconnection of internet in majority of Balochistan, which can happen anytime, has caused many students to miss their exams and applicants to miss job opportunities. As a result people from as far as Gwadar and Turbat travel 800 to 1,000 km to reach Quetta just because of internet problems in their home towns. That’s just a minor example of inconvenience caused by PTCL in Balochistan. Incumbent Balochistan government is not bothered at all. For Dr. Malik and his cabinet, celebration of token cultural festival is more important than issue of disconnection of internet in the province. Due to the apathy of Balochistan government there is no one to reprimand PTCL or to protest to PTA for their inaction. People of Balochistan have been left on their own. The only way out for internet users is to stop paying bills because they are not going to get proper internet services even if the pay. Maybe, people have to wait for 3G internet services to roll out out of Quetta and bring an end to monopoly of PTCL.